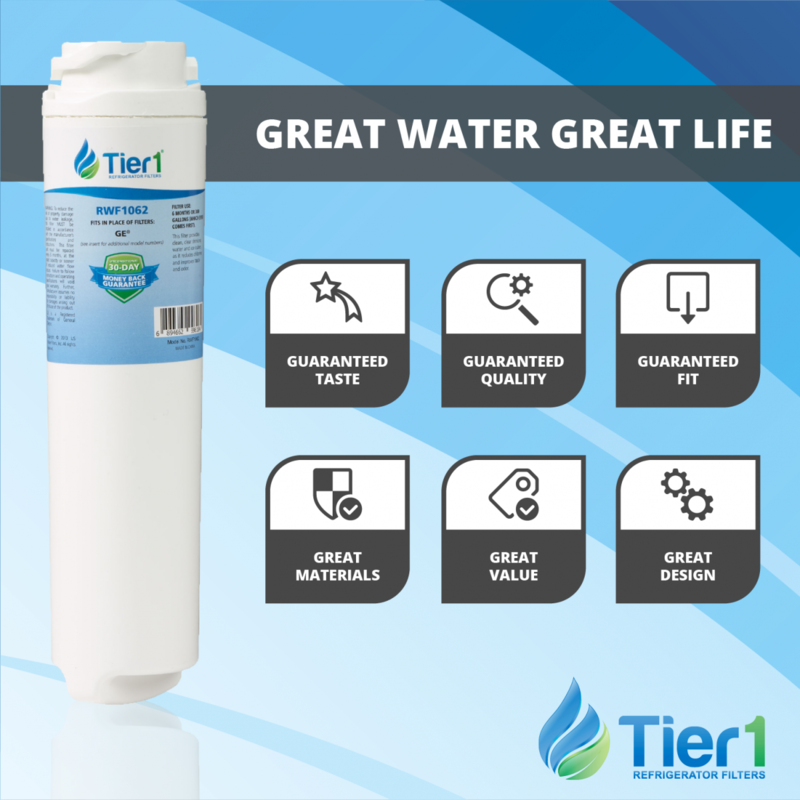 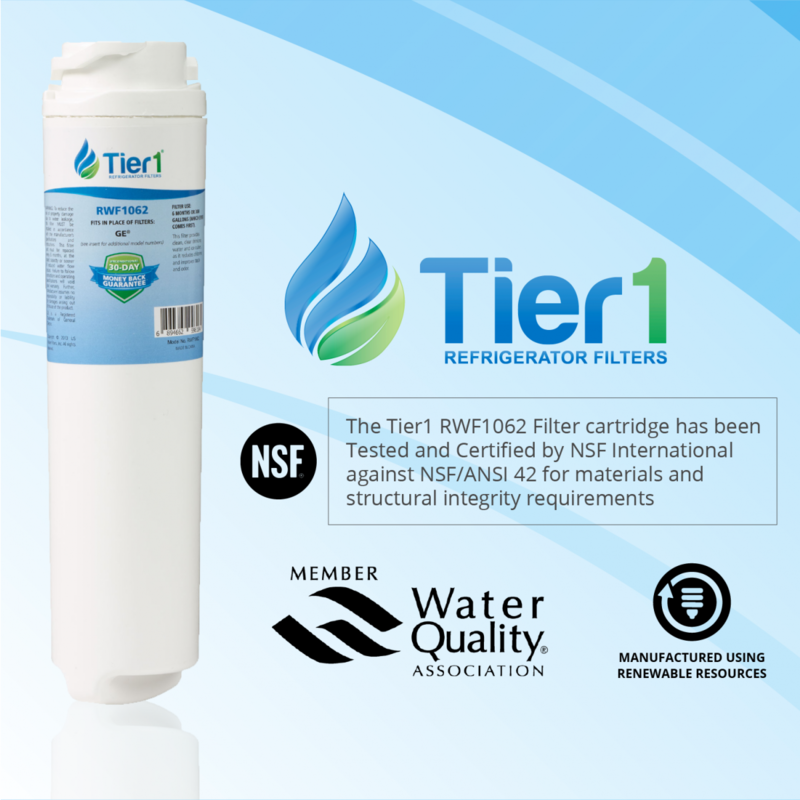 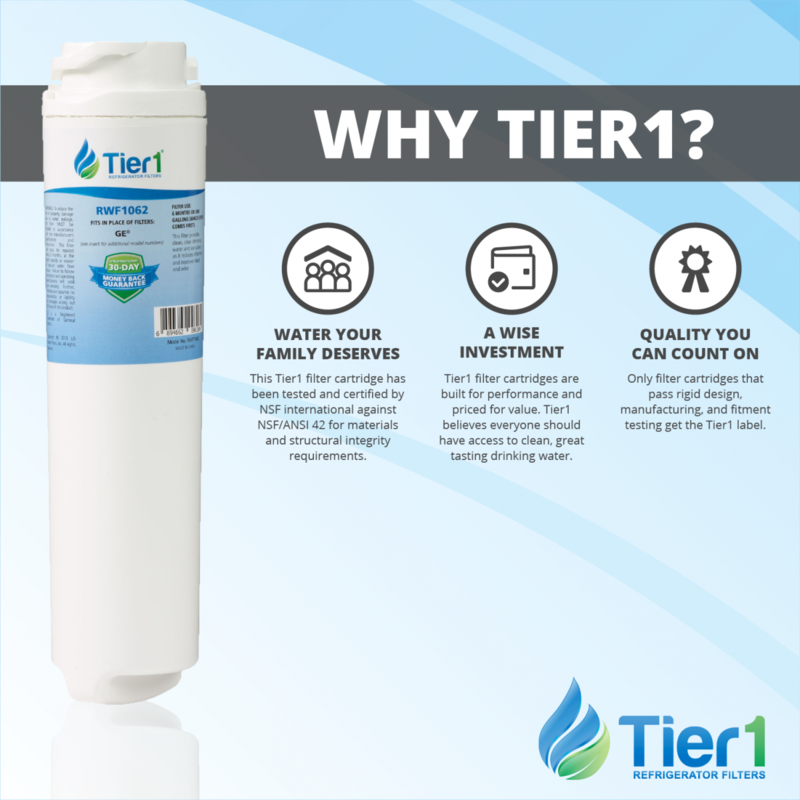 Comparable to the GE MSWF SmartWater refrigerator filter, the Tier1 RWF1062 discount filter will fit GE Arctica & Profile top-freezer & bottom-freezer refrigerators with a flip down compartment and the twist-lock filter system. 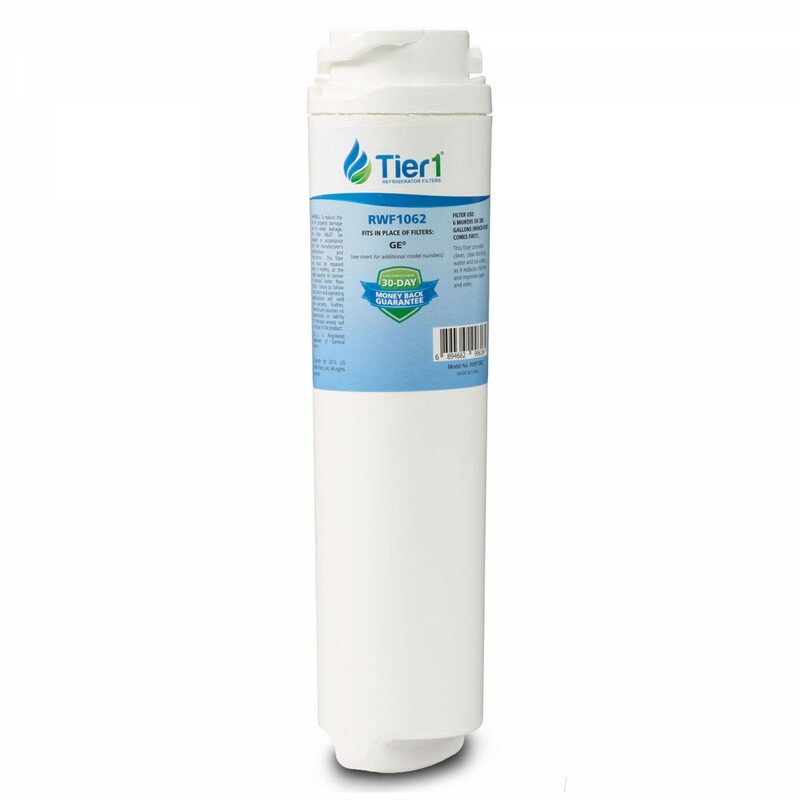 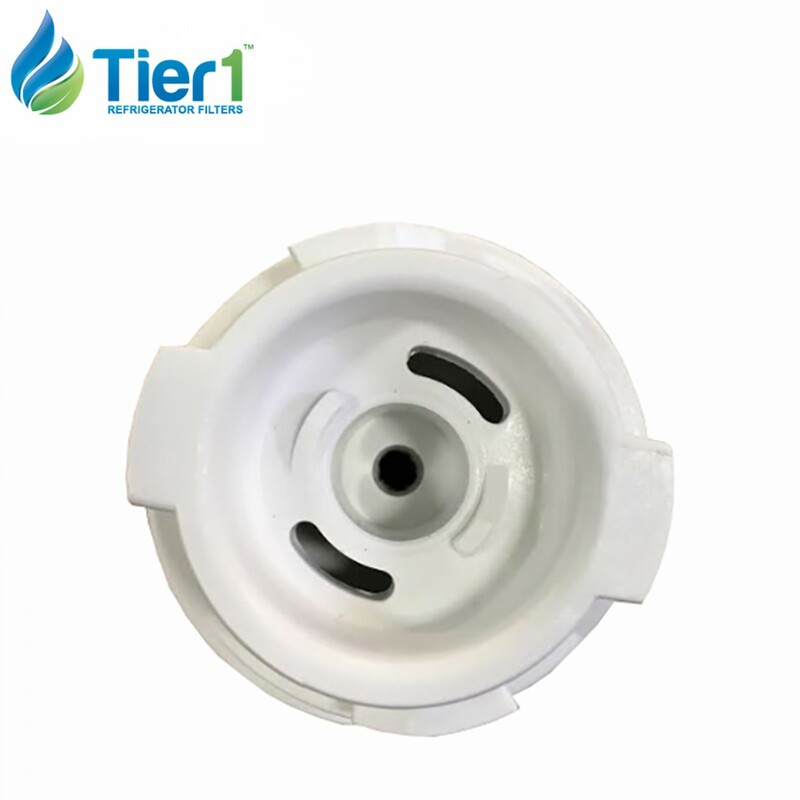 Moments after installation, this filter will ensure your GE refrigerator serves fresh spring tasting drinking water and clear ice for up to six months and reduces impurities, including chlorine. 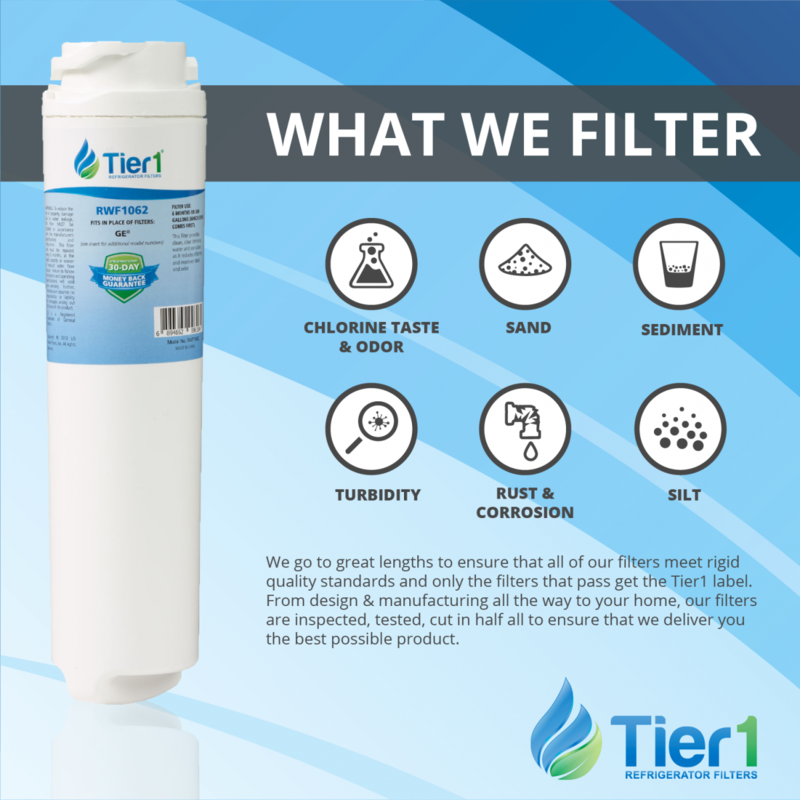 If you hate it when the water in your GE fridge starts to smell and taste funny, this is the perfect filter for you.